Partnership Investment enables Bridges to match fund new investment in the strategic development of cultural education. Culture Bridge North East allocates £125,000 of our budget each year for Partnership Investment. Partnership Investment (PI) is a strategic fund that enables Culture Bridge North East to deliver its vision to offer a rich cultural childhood for every young person in the North East. In 2018-22 over £1m worth of investment - £500k matched by at least £500k investment - will be delivered within the North East through PI activities. CBNE in collaboration with Local Cultural Educational Partnerships (LCEPs) and strategic partners will make a significant and sustainable difference in the way cultural education is delivered. The primary aim of PI is to support the development of LCEPs. PI is to act as match funding that will attract and secure new sources of money not traditionally spent on cultural education in the LCEP area. We want it to result in an increased investment from partners in response to a local strategic challenge the LCEP has identified. Our ambition is that LCEPs will continue to grow and thrive over the next four years and we consider PI to be central to their success. As a consequence, PI applications will only be considered from, or in partnership with, LCEPs. Through PI, we want to provide an alternative approach to cultural education funding, with the purpose of helping partnerships to lever new income to support high quality cultural education by, for and with children and young people. CBNE wants to invest in change, supporting sustainable ideas that develop infrastructure, partnerships and practice. Expression of Interest: a very simple three page document outlining your idea. This will be considered by CBNE’s PI Panel and feedback provided to guide you as you develop your proposal further. Full application: a comprehensive application that includes full details of the partners involved, anticipated outcomes, outputs and impact, alongside a budget and timeline for delivery. How much money is available through Partnership Investment? LCEPs must demonstrate that there is at least 100% cash match investment in place for PI to be secured. CBNE’s minimum investment is £25,000, and overall there is £125,000 available each year. Who makes decisions about PI? Decisions are made by the CBNE PI Panel and ratified by Arts Council England. The Advisory Board also monitor payment conditions and progress. Who will be in charge of deciding which PI applications are successful? 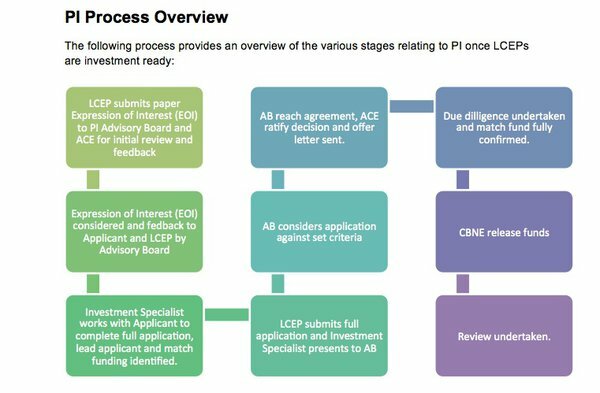 The CBNE PI Panel is responsible for evaluating, reviewing and approving PI applications, with the final sign-off remaining with ACE. Is there any potential for PI cross- area investment? Alongside working in the North East, CBNE will identify opportunities with other Bridge Organisations for cross-area and national investments that will positively impact North East LCEPs. 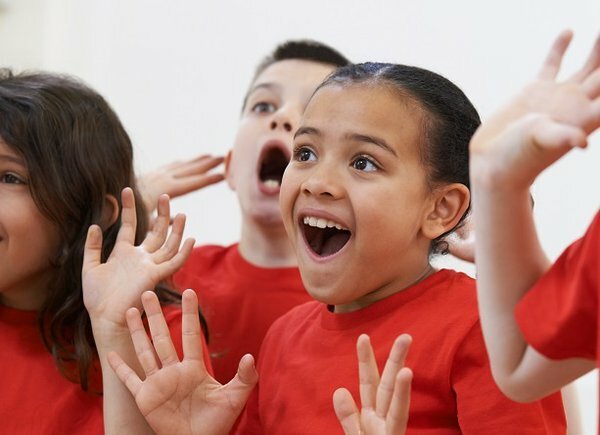 LCEP stands for Local Cultural Education Partnerships, these partnerships bring together representatives from the education, arts and culture sectors to engage more children and young people with high quality arts and culture. Culture Bridge North East is supporting the development of these partnerships in every part of the region. How many LCEPs does the North East have? A total of eight LCEPs will be established across the North East by 2022: Northumberland, North Tyneside, Newcastle, Gateshead, South Tyneside, Sunderland, County Durham and the Tees Valley. The intention for each LCEP is to define, develop and deliver localised plans with stakeholders, to improve and enhance the cultural education offer within the North East. Can any LCEP apply for PI? CBNE’s PI fund is available to LCEPs in the North East only. How many PI's will an LCEP be able to secure? The overall ambition for the LCEPs is that each one will secure PI to enable delivery of its plan at least once during the 2018-22 period. What role will CBNE Area Managers play with regards to PI? CBNE Area Managers will support the management of PI and ensure a consistent relationship between CBNE and LCEP's. An Investment Specialist Consultant, Ammar Mirza, will also provide technical assistance to all stakeholders including LCEPs, Area Managers and the PI Panel; alongside helping identify potential sources of funding and providing ongoing support. Ammar can be contacted by emailing bridge@twmuseums.org.uk. What are the Minimum Investable Requirements for LCEPs? a) A concise summary clearly explaining the LCEPs key purpose, intended outcomes and the activities planned to achieve these. For example an LCEP could use the Theory of Change or similar format. b) A statement explaining the process through which the goal and outcomes were developed. c) A statement explaining how the LCEP will evaluate whether they are meeting their outcomes and making progress toward their goal. b) Membership roles and responsibilities. c) A list of current members identifying any specific roles (e.g. Chair, Vice Chair and administrative roles). d) A description of the LCEP working methods. e) A statement describing the LCEPs commitment to safeguarding children and to promoting equality. a) Details how information will be shared with both members and non-members of the LCEP, including managing confidentiality, GDPR and copyright considerations. These document templates are intended to help LCEPs develop their governance and strategic documents. Any North East LCEP will need to have the indicated elements in place in order to apply to CBNE for PI. Download the templates of strategic documents for LCEPs now! What will the Expression of Interest be assessed on? Does the proposal fit with regional CBNE strategy for PI? Does the proposed activity deliver upon the LCEPs clearly identified strategic priorities? Is the LCEP investable/are all PI Investable recommendations in place? What will the Partnership Investment Full Application form be assessed on? The proposed activity is of high quality. It is not just a one-off project or experience and can clearly demonstrate long term impact and improvements in capacity, structure and practice. Existing LCEPs are enhanced or new strategic cross-sectoral partnerships and relationships are developed. The activity improves equality of access for children and young people from different backgrounds. The activity makes appropriate use of the Quality Principles, Artsmark and/or Arts Award. 2) The proposed activities clearly address one or more of the strategic priorities of the LCEP. 3) 100% cash match-funding, totalling at least £25,000, is secured and in place, from sources which do not traditionally support cultural education for children and young people in the LCEP area. 4) Is the LCEP investable/are all PI investable recommendations in place? Please note that all CBNE investments must be approved by Arts Council England. Expression of Interest Form - When filling out the form please keep your answers concise. You will be sent an email to confirm we have received your (EOI) Application Form. Within four weeks of submission you will be informed if we are taking your proposal forward. At which point you'll be invited to discuss your EOI with the PI Panel. If you are successful, we will work with you to develop a full budget and plan for investment. Before applying please check that you meet the assessment criteria detailed above. Download your EOI application form now! Full PI Application Form - When filling out the form please keep your answers concise. A delivery plan including timeline of activities/milestones. Please remember that activity must be of more than one year in duration. Check that you meet the assessment criteria - please see the section above for full details. Please note - Your Area Manager and Investment Specialist Consultant can provide support in developing the above documents. We'll email to confirm we received your full application & will let you know whether we will take your proposal forward within four weeks of the deadline. Download your PI Application form now! In 2018-22 the primary aim of PI is to support the development of Local Cultural Education Partnerships (LCEPs). PI is to act as match funding that will attract and secure new sources of money not traditionally spent on cultural education in the LCEP area. It should result in measurable increased investment from partners in response to a local strategic challenge the partnership has identified. This may include levering new levels of investment from existing sources. Investments must be for more than one year in duration. PI may be used outside of these priorities only in response to exceptional investment opportunities. The Arts Council expects that Partnership Investment will support the strategic development of Local Education Partnerships as a priority focus where ever possible. This may include resource to support capacity, planning or evaluation of LCEP progress. Investment outside of this scope will only be agreed in exceptional circumstances. Our ambition is that LCEP areas will continue to grow and thrive over the next four years and we consider Partnership Investment to be central to this success. Partnership Investment must not be used to facilitate programme delivery, it is not an alternative to project grants and the Arts Council will not support the approval of applications where this is the case. Bridge Organisations will support LCEP partners to develop their cultural education offer locally and will be able to advise on how Partnership Investment can support their strategic development and future sustainability.